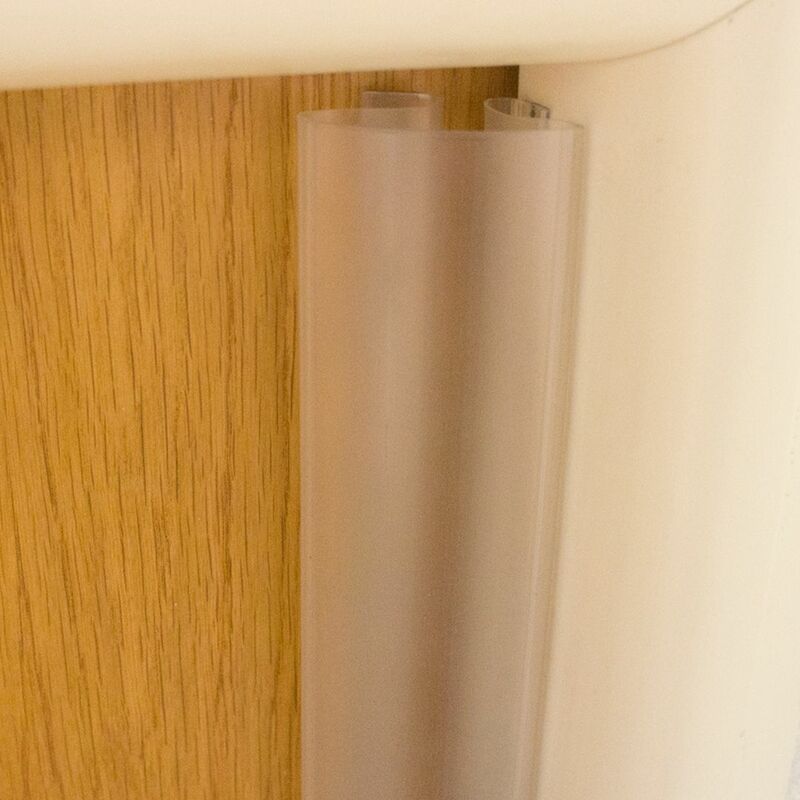 Clear Finger Guard for Interior Doors. ‘Soft’ material resists to cracking from kicks and knocks. 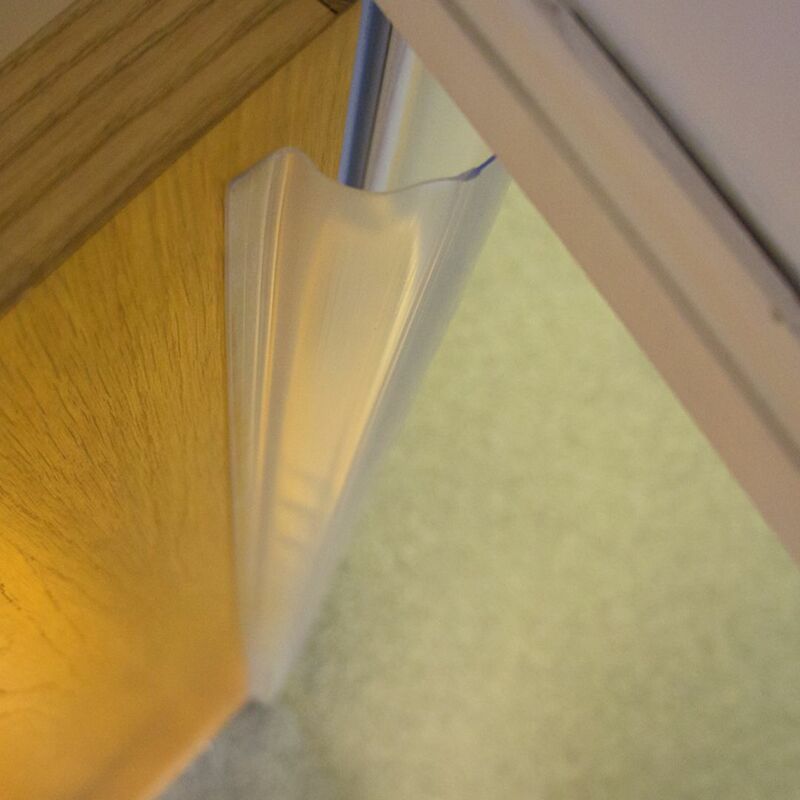 The clear finger guard is a clear polymer material with a ‘rubbery’ feel that does not shatter. Resists cracking and splitting and absorbs kicks and knocks well. Blends in with natural timber finish doors in particular. 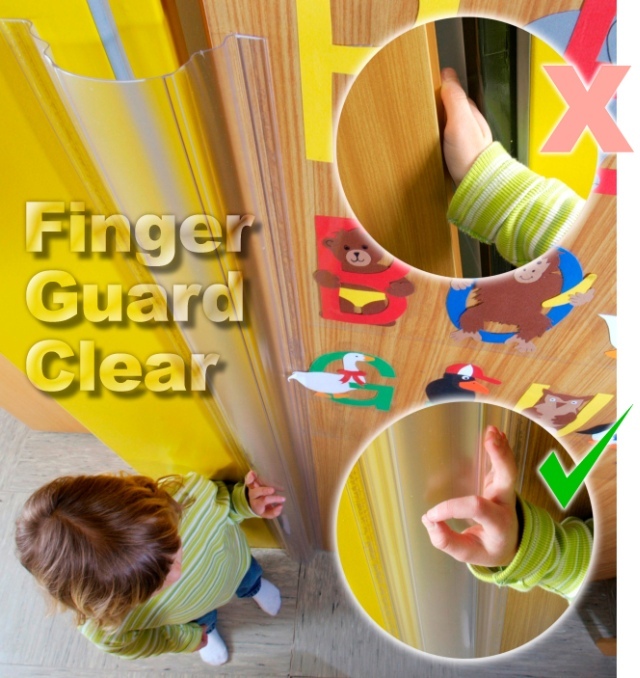 Caution: Do not fit to doors that can open more than 110°, otherwise the strips are likely to tear off from the door or frame and cause damage..
(Click images on left to see more detailed views of product).